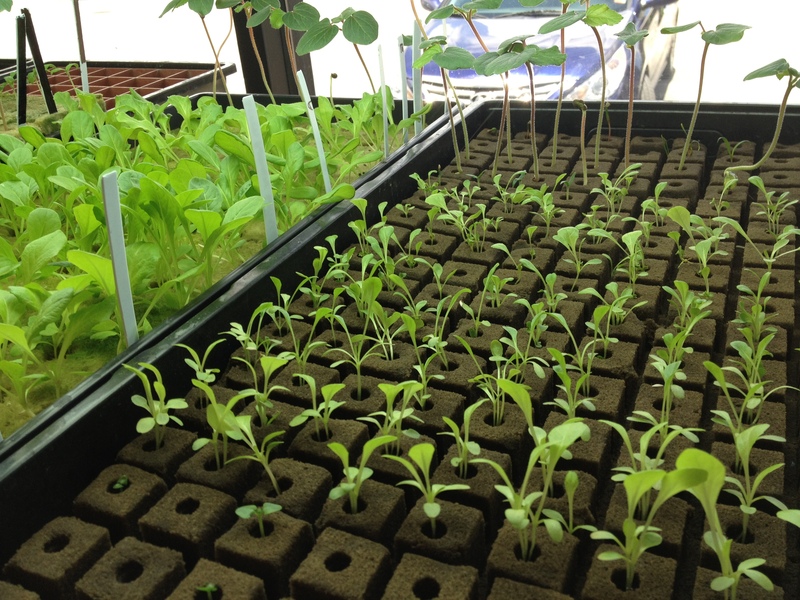 Occasionally, here at Sahib Aquaponics, we outsource the growing of our seedlings to our friends at a local hydroponic shop called Urban Sunshine Organic & Hydroponic Gardening. We do this because they have an indoor facility. 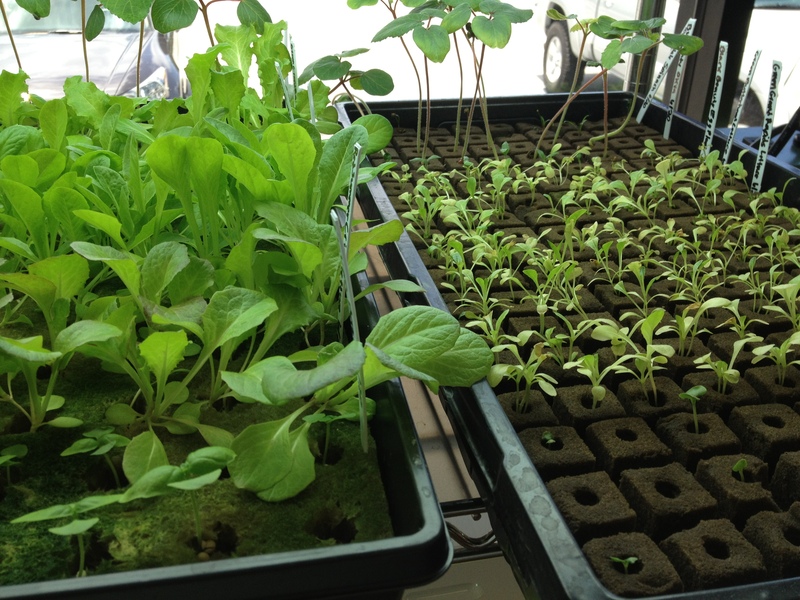 It is much easier to start seedlings in a controlled environment without the risk of pests and harsh summer weather conditions (for example 90°F + and heavy rain). 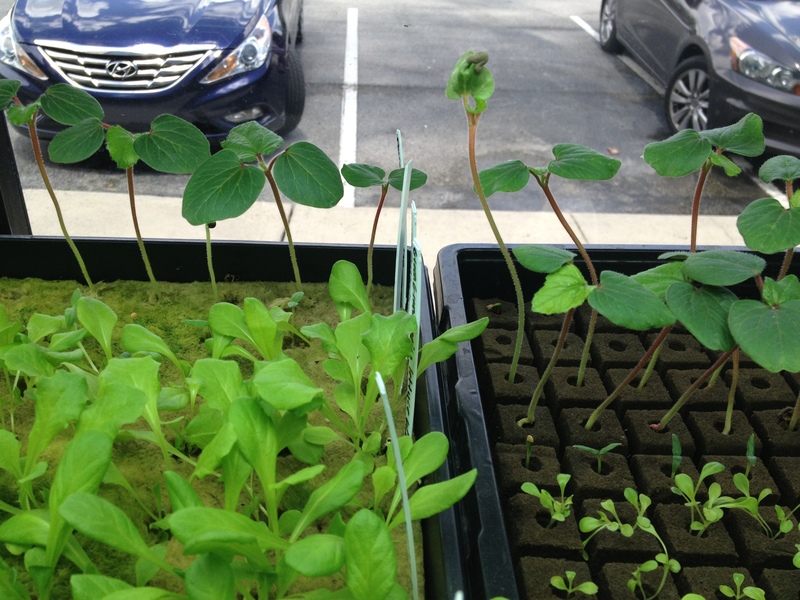 Recently, we did a little experiment with two different growth media to see which would work best. 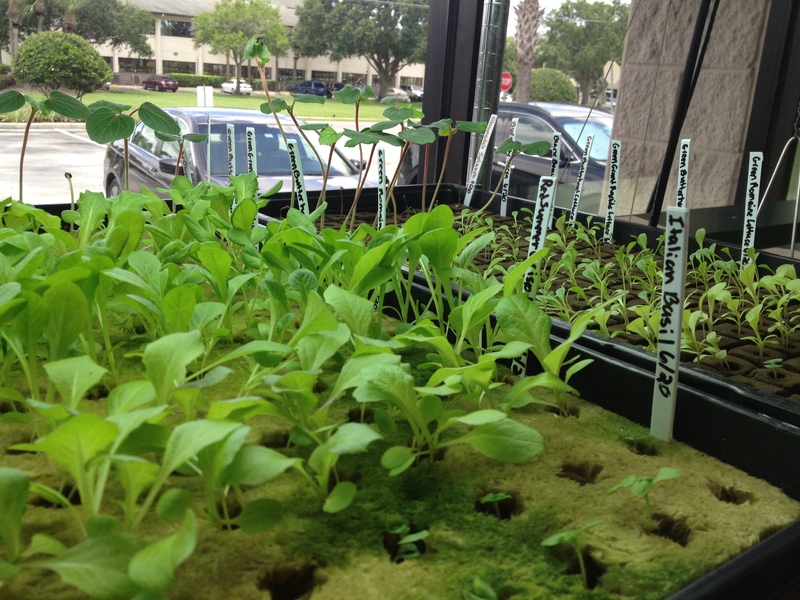 The two media types were Oasis Horticubes and Rockwool. Both media are nutrionally inert and boast that their porous characteristics are the best for growing because air, water and any nutrients you wish to add call are easily supplied to the roots, without creating a buildup. The differences are that the Oasis Horticubes are a foam like material. The Rockwool is made from volcanic Basalt, which is heated and spun into a lightweight airy material not unlike steel wool. 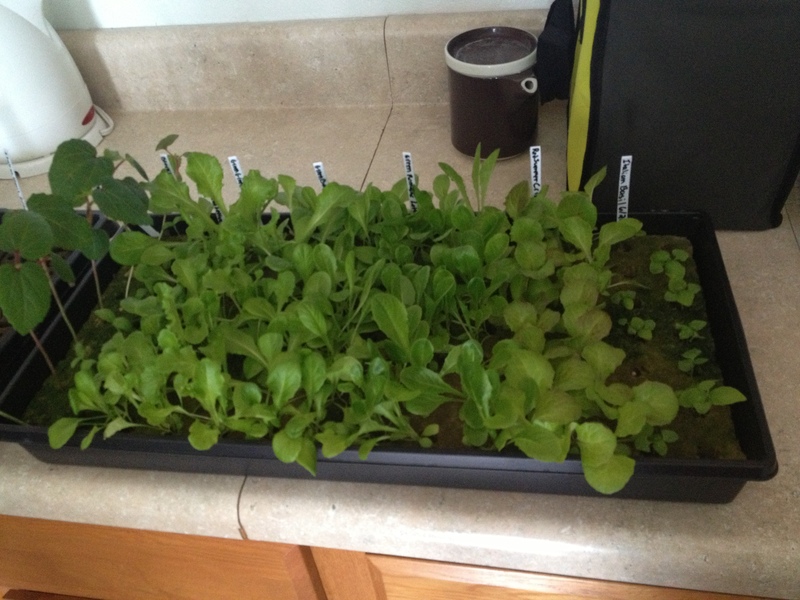 In our little experiment, we were able to ensure that both trays received the same amount of lighting, nutrients, and water (thanks to our friends at Urban Sunshine J ). 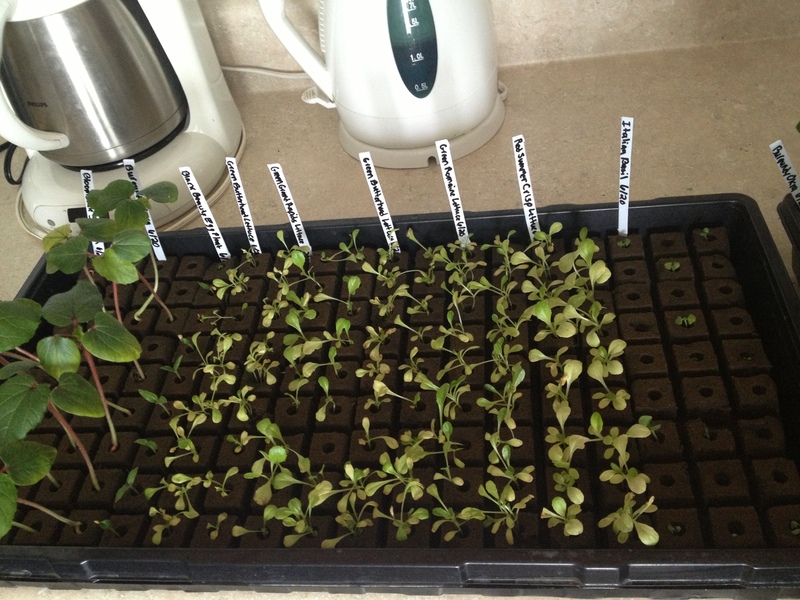 For an extra measure of control, we also made sure to plant the same seeds from the same sources in each tray. Curious about the results? Well, as they say a picture’s worth a thousand words. 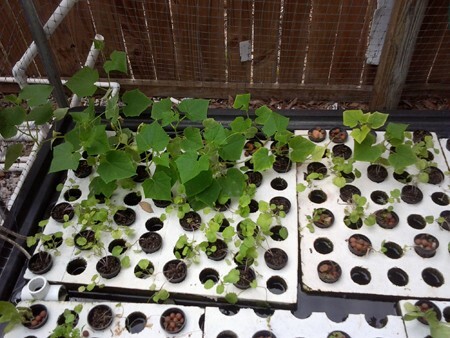 Below we have a few photos : Photo 1 is the tray with the Oasis Horticubes and Photo 2 is the tray with the Rockwool, and the rest are further comparisons of the two.